Unlike most of the other pieces in our season review, we’ll do some looking back and a bunch of looking forward. On the cusp of the opening of the regular season in October, we offered three major questions about the upcoming season. One of the questions related to Sharks general manager Doug Wilson and the unusually large amount of salary cap space San Jose had. We posed the question: what will Doug Wilson do with the salary cap space? The departure of Patrick Marleau in free agency ($6.67 million off the cap), the loss of David Schlemko ($2.1 million) in the expansion draft and the increase in the salary cap ($2 million) left the Sharks with a bunch of usable cap space this season. But the Sharks had no roster additions which made a meaningful impact on their cap space (until the trade deadline) and they had only one major pay raise (Brent Burns’ $2.2 million increase). It was Wilson’s choice not to use the cap space available to him. Much of the open cap space will roll over into this coming season. Wilson has contracts for three players with six or more seasons to go. 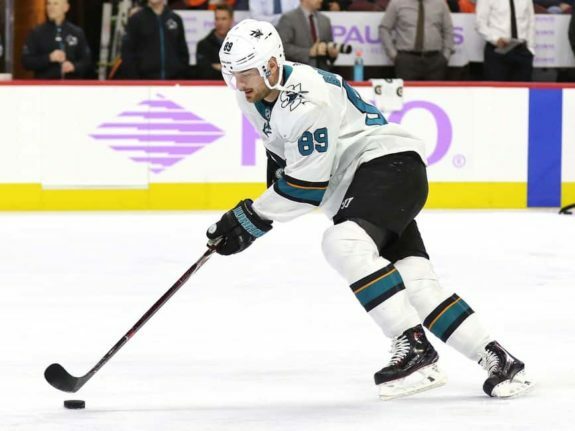 Last July 1, he added goalie Martin Jones and Marc-Edouard Vlasic to the long-term deal list, joining Brent Burns. These deals add up to almost $21 million, a bit under 25 percent of next season’s salary cap. For most of his tenure, Wilson has resisted these lengthy deals. Burns and Vlasic are among five Sharks on continuing contracts which include limitations on player’s movement (such as limited or no trade clauses). The others belong to Logan Couture, Joe Pavelski and Paul Martin. During the season, Wilson struck a new deal with backup goalie Aaron Dell. It’s a two-year contract worth $1.9 million annually. Dell earned the contract with his strong play over the past two seasons. The roster has eight players entering some form of free agency. Two won’t be back, most of the other six will be. One other player is almost certain to get bought out or traded. The Sharks have a bit over $60 million committed to contracts for next season across twenty players. The 2018-19 salary cap is forecast to land between $78 million and $82 million. San Jose has a lot of room to maneuver. And yet, it’s conceivable they’ll use pretty much all of the cap space before the offseason ends. At least that is the hope. The Sharks have three restricted free agents (RFAs): Dylan DeMelo, Chris Tierney and Tomas Hertl. They’ll likely retain all three. Expect Tierney to get a nice pay increase, with a new annual salary in the $2+ million range. Hertl will get around $5 million. As good as he was in the playoffs (and he was really good), it’s important to note his career high is just 46 points and his injury history is still a concern. For each player, term will have a role, with a longer term increasing the paycheck. I’ll estimate $7.5 million in cap hit for the pair. DeMelo will be cheaper and given the Sharks have little in their organization ready to push DeMelo out of a roster spot, he’ll probably get into seven figures, but not by much. There are 17 NHL defensemen with a cap hit between $1 million and $1.25 million and they’re smack in the middle of ‘third pair defenseman’ money. I expect DeMelo to join this group. I’ll put him at $1.1 million. While DeMelo and Tierney are likely to get re-signed, they are also tradable assets and it wouldn’t be a shock to see one or the other depart. But assuming they stay, the RFA re-signings put the Sharks cap hit at $69 million, with much more to address. The Sharks have five pending unrestricted free agents (UFAs), including a couple big name players. 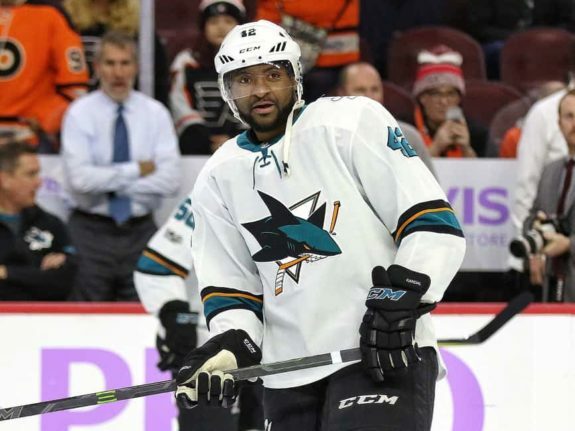 Joe Thornton and Evander Kane head the list, which also includes Eric Fehr, Joel Ward and Jannik Hansen. The Sharks won’t be retaining Ward or Hansen, nor do they need replacing. Fehr may fit into the mix. He’ll command a salary commensurate with a fourth line center, or about $1 million. Whether it’s Fehr or someone else, I’ll add $1 million for the role. We’re now at a cap hot of $70 million with two unrestricted free agents remaining. Thornton wants to return and has indicated he’ll be flexible. Just how flexible is not known, but it’s possible he’ll need to be very flexible if the Sharks accomplish big things in free agency. 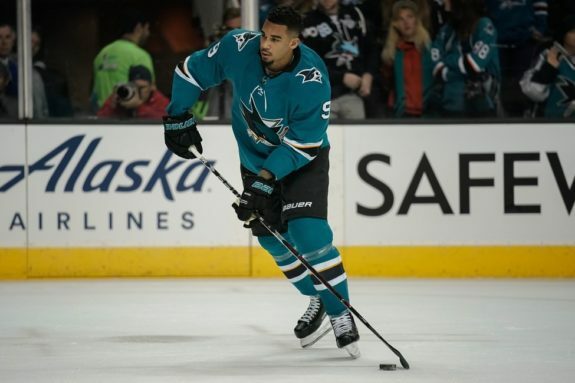 One free agent decision which impacts Thornton’s situation is current Shark Evander Kane. Kane is a tremendous talent, but a problematic reputation. There are documented troubles off the ice, troubles with teammates, plus a recent suspension for a playoff game. Even if all this is discounted (most general managers won’t), he still has a lengthy history with injuries. In nine seasons, he’s yet to play a full 82 games. While I’ll stay away from the off-ice and locker room reputation issues (Wilson says Kane has a “clean slate”), it is safe to say the market for Kane’s services will be diminished because of them. The trade deadline acquisition tells paints a clear picture. The Sharks appeared to be the only team bidding for Kane’s services, even as he was clearly on the trading block. The Sharks were openly pleased with Kane’s performance and offer no qualms about his persona. Even casting aside all the issues which caused teams to pass on Kane just a few months ago, the injury issues remain and it’s a real consideration. During his ten weeks playing for San Jose, he had both a knee and shoulder injury. His game was clearly compromised in the playoffs. Even if Kane was perceived of as a model citizen and teammate, his injury history limits his value. One wonders if Kane is looking for the right fit more than he’s looking for the biggest possible paycheck. The Sharks are a very good fit for him and he’s a good fit for the Sharks. But Kane was about as non-committal as one can be during postseason interviews. One thing I’m certain of, he didn’t dramatically change most perceptions around the league during his ten-week stint with the Sharks. Between injuries and the suspension, he may have reinforced some. Teams which didn’t show any interest in February aren’t likely to get into a bidding war for him in July. The things Kane did well in San Jose are things he’s always done well. Kane’s got $9 million talent, but with both health issues and other issues, he’ll likely get less than $7 million, perhaps closer to $6 million. And the term won’t be nearly as long as he hopes. Of the Sharks’ eight free agents, only two don’t have a clear direction, Fehr and Kane. Whatever the decision is with Fehr, there is no potential domino effect on the rest of the roster. With Kane, there is. Which is why he’ll be among the bigger stories of the upcoming offseason. While Kane is a big story, there is one that is, at least potentially, much bigger. The Sharks can’t say it openly, but it’s widely expected they’ll go after New York Islanders star John Tavares, should Tavares get to free agency. Wilson’s statements, going back nearly a year, reflect on having “$10 million in cap space” available for a “key … long-term piece.” He used the singular form (‘a piece’ not ”pieces’), indicating he wasn’t thinking about multiple players, but just one player. The only $10 million player with a realistic chance of hitting the market is Tavares. It’s worth noting, Tavares has had 325 days to re-sign with the Isles … and hasn’t. The Isles have about 40 more days to re-sign him before he becomes a free agent. San Jose had two cornerstone players who became eligible to re-sign on the same day as Tavares (July 1, 2017). Martin Jones and Marc-Edouard Vlasic both had their extensions done that day. Tavares is expected to command somewhere north of $10 million annually, perhaps a good bit north. While it’s highly unusual to have a player as good as Tavares hit the open market, there’s no shortage of good reasons for him to move on. What Tavares wants, if it’s not the Islanders, is unknown. Given his lack of participation in the playoffs, I strongly suspect he’ll favor teams with Stanley Cup competitive rosters. Given his current team’s instability, I suspect he’ll prefer an organization which demonstrates stability. Given his next deal is going to be a long one, I suspect he’ll look for a place where players are excited to play and live. And of course, he’ll want big money. The Sharks can offer up all of the above. Most Stanley Cup contenders can’t offer a competitive contract – at least without major surgery to their existing rosters. I expect a few good teams will make moves to create cap space so they can bid for Tavares. In a bit of a twist, the less the salary cap figure rises, the better it is for San Jose. I estimate for every $1 million the cap rises, 1-2 more teams enter into the bidding process. At $78 million, there are perhaps six teams, which are serious contenders for Tavares. At $82 million, perhaps 12. Getting Tavares is a very big deal for San Jose; increased competition won’t be helpful. The Sharks have a good case to make, and it’s a risk worth taking. 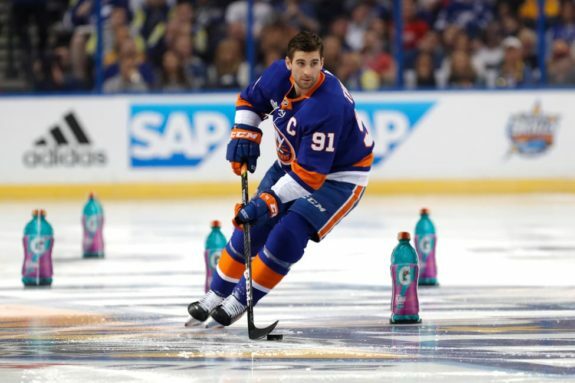 Should they go “all in?” Talents like Tavares don’t hit the market often and the Sharks are a perfect fit. For over a decade, the Sharks have rolled out future Hall-of-Famer Joe Thornton as the top line center. 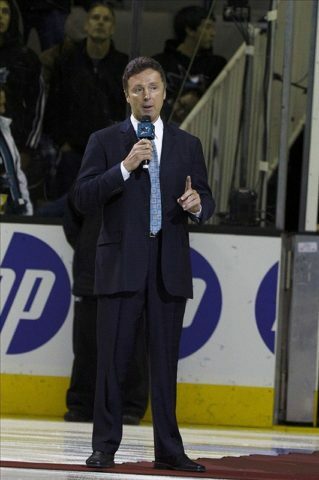 At this point, the Sharks need a replacement. It’s possible the Sharks roll these four centers next season: Tavares, Thornton, Pavelski and Couture. That’d be a stunning opportunity and make the Sharks a Stanley Cup favorite. To me, yes, this is an ‘all-in” moment. Should San Jose take the risk for a player who can turn the team into a Stanley Cup favorite and also upgrade the fortunes of the franchise for a decade? Absolutely. A quick reset on where we are. San Jose keeps Fehr, Hertl, Tierney and DeMelo. The team’s cap hit is $70 million and the salary cap might be as low as $78 million or as high as $82 million. The team is looking at signing Thornton, Kane and Tavares. This trio could get close to $20 million. If the Sharks are going to make this happen, there’s other trimming to be done. If the Sharks want two of the three, the trimming is modest. Going all in on Tavares means the Sharks will need to do some roster moves of their own, and they’ll need to occur before the free agency period beings on July 1. This means parting ways with Paul Martin, most likely via a buyout. Martin has one more season on a deal which pays him a bit over $4 million and carries a salary cap hit of a bit under $5 million. Old, expensive and injured for much of the season is a tough sell. On top of all this, his final impression this season came on a highlight reel moment, and Martin was on the wrong side of the highlight. At this point, he’s a negative value player. If there is a deal, expect the Sharks to retain some salary, some cap space and part with a draft pick just to move Martin. A deal might be possible; he has a number of positives he brings, especially if part of his role is on-ice mentoring. A young defensive group will benefit from Martin’s presence. Since his deal is only one more season, while it’s pricey year, the costs involved are limited. If the Sharks can move on from Martin’s deal in its entirety, that’d be huge. I don’t expect this. One player who is likely on the trade block is Mikkel Boedker. Boedker is far more tradable. He carries a $4 million cap hit, but a salary of just $3 million for the next two seasons. For teams not worried about maxing out the salary cap but concerned about cost, Boedker is an especially good fit. His play in the latter half of the season merits his cap hit. In the playoffs, he was on the Sharks highly productive top line with Logan Couture and Tomas Hertl. After a lengthy struggle, Boedker has a lot of up arrows and should fetch a solid return. Martin and Boedker are scheduled to cost just under $9 million against the salary cap. Depending on the specifics and keeping in mind someone else will get a roster spot to replace each player, the net cap savings will come to around $5-7 million. This places Sharks salary cap at between $63-65 million. Which equates to between $13 million and $19 million of cap space. Moving on from Martin and trading Boedker are the sorts of moves which open cap space for Tavares, Kane and Thornton. However, it doesn’t seem like enough space to enable all three deals. If the cap range is at the high end, Tavares will get more bidders and his price will rise; he might even become the league’s highest paid player. San Jose might need to make additional moves, carving out $1-2 million of cap space per move. 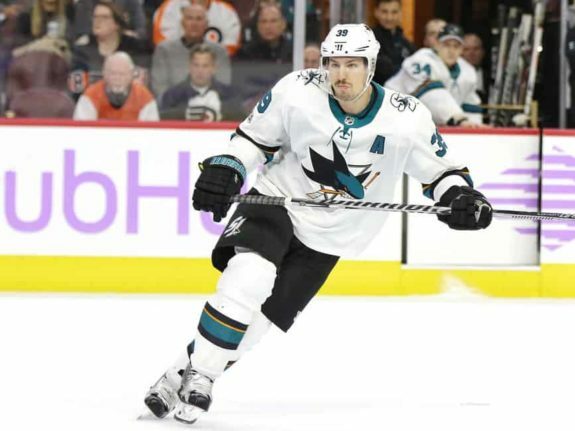 Among the trade candidates are Melker Karlsson, Joonas Donskoi and Aaron Dell. For example, the Sharks can claim back a bit over $1.2 million in salary cap space if they trust their AHL goalie, Antoine Bibeau, as a backup for Martin Jones and trade Aaron Dell. 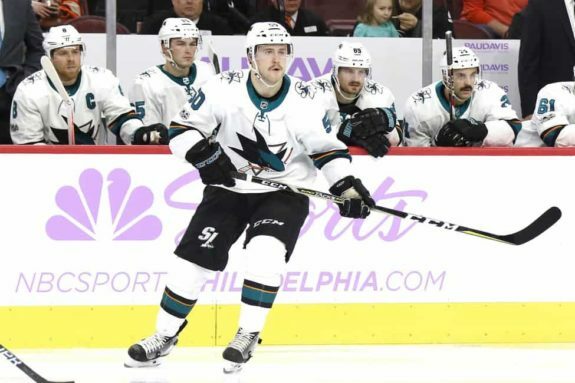 I’d include Brenden Dillon in the list of potential trades as well, but if Paul Martin goes as expected, the Sharks will only have seven NHL quality defensemen in their system – they have none in the AHL at this moment. Wilson can trade Dillon and acquire a lower cost defenseman to save some cap space. For example, David Schlemko is making $2.1 million, coming off a miserable season in Montreal. He’d save the Sharks about $1.1 million of cap space. I have little doubt the Sharks priority is Tavares. If Tavares does come to San Jose, this won’t be known until the free agency period is upon us, which means Kane will be fielding other offers. Thornton might be as well. I’m pretty sure Thornton will jump at the chance to win a Cup in San Jose and Tavares improves the odds a ton. If Tavares doesn’t come, the Sharks might as well pay Thornton a bunch to reward him for all he’s done over the course of his Sharks’ career. It’s justified, especially if there’s a bunch of cap space going unused. 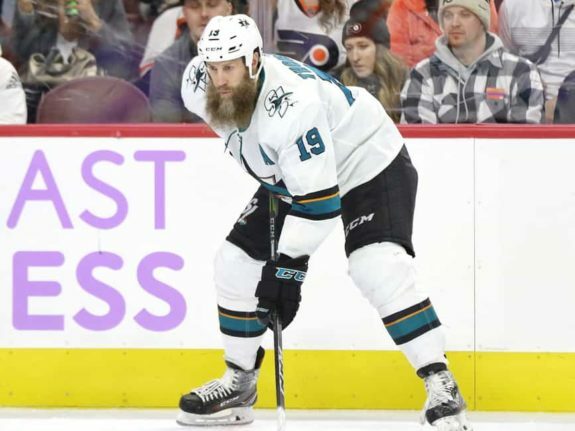 My hunch is the Sharks will have a deal in place with Thornton shortly, outlining the major scenarios and what they can afford in each one. Whether they can make a similar arrangement with Kane is far less certain. At some point in the offseason, Wilson will get deals done with Hertl, Tierney and DeMelo. There’s a bit more urgency with Hertl, seeing as he’ll be a bigger part of the cap space equation. We’ll see if he moves on from Eric Fehr, though I like the fit. Free agency begins on July 1 and we’ll know a whole lot more by around July 3. The Sharks will have made moves before free agency to gain the cap space they hope they’ll need. Paul Martin will be gone, perhaps Boedker, perhaps another player. San Jose may even acquire Tavares prior to the start of free agency to gain a period of exclusivity for negotiations. Of course, acquiring him won’t prevent him from becoming a free agent on July 1, if he decides not to sign with San Jose. If the Sharks miss out on Tavares, they’ll still have cap space. They might make a play for Toronto’s potential free agent winger James van Riemsdyk or attempt to trade with the Carolina Hurricanes, a team in flux, for a player like left-handed defenseman Jaccob Slavin. But Doug Wilson didn’t horde this much cap space in the hopes of getting James van Reimsdyk or a similar sort. He’s aiming higher and it’s likely he’s been working towards this moment for a long time. Wilson has plenty of options, just none as good or as exciting as Tavares. We noted in an article at the start of the season: “A wrong move now could block a better move later on. Getting this one right matters.” Wilson made no move which might block a Tavares bid. On Wilson’s part, this has been a long, thought out process. The upcoming Sharks offseason may be both the most fascinating and most important for the franchise in a long time. They have some specific needs and potential unique opportunities. In less than two months, we’ll have a lot of answers.